WRITTEN BY: Sally Phillips, Ph.D. Candidate at School of Law, Birmingham City University, United Kingdom. Sally Phillips is a second-year Ph.D. student with the law school at Birmingham City University, UK. Her research focus is on the intersection of science and law, particularly in cases concerning Shaken Baby Syndrome/Abusive Head Trauma. Coming from a background in Criminology and Forensic Studies with a firm foundation in the natural sciences, she has a great interest in the use of science in criminal prosecutions and the judicial response to this complex juncture of disciplines. The ‘traditional hypothesis’ of “Shaken Baby Syndrome” (SBS) surmises that if a child were to present with a brain bleed and bleeding behind the eyes, but was absent a history of accidental trauma, then that child had likely been violently shaken. Despite extensive scientific research, this hypothesis remains subject to significant criticism which suggests the underpinning science is uncertain and that some SBS diagnoses may be inaccurate. This debate has generated tensions amongst medical professionals and in criminal proceedings involving medical evidence of the diagnosis. In the UK, in 2016, neuropathologist Dr. Waney Squier had her medical licence revoked (and subsequently reinstated on appeal, with a 3-year ban on testifying), for her part as a defense expert in SBS cases. Additionally, convictions have been overturned and charges dropped in prosecutions in both the US and England and Wales, due to perceived uncertainty in SBS. Despite similarities in criminal justice processes in these two jurisdictions, their response to this alleged uncertainty has differed. To put these responses into context, a closer look at the science is warranted. A review of relevant scientific literature highlights five areas of significant debate. These areas are reflected in US and English case law, as key points of contention between defense and prosecution. First, is the important question of what level of force is sufficient to produce the SBS-associated injuries. Although, some argue that an individual cannot shake a baby hard enough to harm it, most accept that shaking is a dangerous practice. Experiments using animals, dummies and computational models continue to better simulate a live infant, but so far no certain answer can be given about exact levels of force needed to cause SBS (Nadarasa et al., 2014). Second, the possibility of a period where the child appears ‘fine’ after shaking, has been discussed. The defendant in SBS cases will almost always be the individual with the child when they became symptomatic (known as collapse), so the possibility of this ‘lucid interval’ raises the question of potential alternative perpetrators who have cared for the child in the days or hours leading up to collapse. However, the evidence suggests lengthy, non-symptomatic, lucid intervals are extremely rare (Arbogast et al, 2005). Third are theories that suggest an innocent explanation for just one SBS symptom, of which there are many. Although a child is unlikely to have three innocent explanations for the three individual symptoms, this is a possibility which needs to be ruled out in each case. Many natural diseases and accidental injuries have potential to cause injuries that appear to mimic those seen in SBS. However, these are often testable and distinguishable if investigated thoroughly (Jenny, 2014). The fourth category of uncertainty is closely related to the third – the possibility that a single innocent explanation triggered all three symptoms. Events such as severe coughing, seizures or forceful vomiting have been considered in the literature. Aside from a few case reports, these theories are presently unsubstantiated. It is for this reason that the fifth category of debate is key. This is whether diagnostic procedures are adhered to closely enough to effectively apply current scientific knowledge clinically, preventing misdiagnoses. The standardisation and efficacy of proper diagnostics cannot be underestimated when cases of potential SBS are brought to physicians. The practical consequences of this tension, is that when experts testify in criminal cases, their language and reasoning may not be translating accurately to judges, lawyers and juries. For example, the phrase, “reasonable degree of medical certainty” is a common one in expert medical testimony, but is not used in normal clinical practice. There is evidence to suggest that experts understand and use this phrase to describe a different level of certainty, with some believing it to be close to 100%, while others see it as 50% or more (Gena, 2007). Faulty translations like this, can be misleading for a jury and only exacerbate the areas of uncertainty in SBS. In the US, the judiciary has employed avoidance techniques in response to much scientific debate. A strict adherence to finality interests and legal process often trumps any substantive examination of contentious scientific evidence. Trial judges are charged with assessing reliability of expert testimony under Daubert v. Merrell Dow Pharm., 509 U.S. 579 (1993). Daubert’s criteria was carefully considered by the Law Commission in England and Wales (Law Commission, 2011). However, as the Law Commission noted, there is still significant confusion and inconsistency if and/or when Daubert is applied. Daubert urges courts to take a more active role in dealing with science, but there is clear discomfort when it comes to applying the guidelines in a way which involves a thorough examination of scientific concepts. Review of the US appellate opinions reveals increased awareness of scientific issues in SBS cases. However, when it comes to a critical examination, judges will focus on legal frameworks, but pay little attention to the application of them to SBS. A range of arguments are used to dis-apply reliability frameworks, such as Daubert, leaving SBS testimony to enter court un-examined. Judgement of reliability is often left to the jury, as judges will conclude that flaws in expert testimony go to the weight, not admissibility of the evidence. Appeals will often focus on procedural claims, allowing the judiciary to bypass critical scientific examination in favour of procedural analysis. Cases which confront the science head-on are few and far between, and often overruled. In England and Wales, courts have made more concerted attempts to address the problem. Extensive opinions, such as R v Harris and Others  EWCA Crim 1980 and R v Henderson and Others  EWCA Crim 1269, probe deeper into SBS and this has resulted in specific CPS guidelines being issued for cases of Non-Accidental Head Injury (a broader term for SBS). These guidelines caution against the bringing of prosecutions solely based upon SBS injuries, and advise that other supporting evidence such as broken bones, bruises or confessions be present before a case is prosecuted. There is also guidance in place by way of the Criminal Procedure Rules and Practice Directions, which list factors that may render expert testimony reliable. The courts should not be expected to ultimately resolve the current scientific debate in SBS; however, they cannot ignore the issue altogether. Stakeholders across the scientific and legal communities must develop and apply guidelines that keep unreliable science from entering the courtroom. A failure to do so will continue to result in wrongful convictions. Arbogast, K., Margulies, S. & Christian, C., Initial Neurologic Presentation in Young Children Sustaining Inflicted and Unintentional Fatal Head Injuries, 116 Pediatrics 180 (2005). Gena, M., Shaken Baby Syndrome: Medical Uncertainty Casts Doubt on Convictions, 2007 Wisconsin Law Review 701. Jasanoff, S., Law’s Knowledge: Science for Justice in Legal Settings, 95 American Journal of Public Health s49 (2005). Jenny, C., Alternate Theories of Causation in Abusive Head Trauma: What the Science Tells Us, 44 Pediatric Radiology 543 (2014). Law Commission, Expert Evidence in Criminal Proceedings in England and Wales (Law Com. No. 325) (2011). Nadarasa, J., Deck, C., Meyer, F., Willinger, R. & Raul, J., Update on Injury Mechanisms in Abusive Head Trauma – Shaken Baby Syndrome, 44 Pediatric Radiology 565 (2014). R v Harris and Others,  EWCA Crim 1980. R v Henderson and Others  EWCA Crim 1269. We are pleased to join investigative reporter Susan Goldsmith and filmmaker Meryl Goldsmith in announcing that their powerful film on shaken baby syndrome, “The Syndrome” will be available everywhere on video on demand starting April 15, 2016. iTunes, DirecTV, In Demand (cable outlets), Amazon Instant and so many more are all distributing the film. An estimated 1,000 innocent people are currently incarcerated based on doctors diagnosing shaken baby syndrome, a child abuse theory that has been disavowed as “junk science.” The prosecutions, false allegations and devastation of innocent peoples’ lives continues even as the science has dissolved. Several years ago, in England, the prosecution re-examined a series of its shaken baby convictions and re-evaluated its policies and procedures for handling such cases. 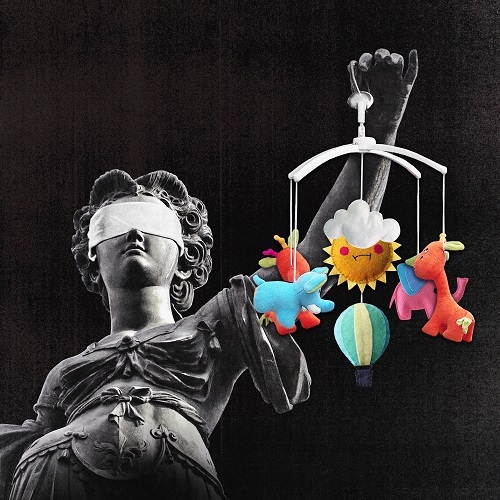 Interestingly, the new wrongful conviction integrity unit in the LA County District Attorney’s Office told California Public Radio that they plan to review shaken baby cases. Tara Haelle, Doctors Devise a Better Way to Diagnose Shaken Baby Syndrome, NPR North Carolina (Jul. 29, 2015). Samantha Adams, Shaken Baby Syndrome and Wrongful Convictions, Innocence Project of Florida: Plain Error (Mar. 30, 2015). Innocence Project, Washington Post In-Depth Investigation: Shaken Baby Syndrome, (Mar. 23, 2015). California Innocence Project, Shaken Baby Syndrome. Jae C. Hong, LA County’s New Wrongful Conviction Unit Flooded with Hundreds of Innocence Claims, 89.3KPCC (Nov. 13, 2014). Innocence Project, Shaken Baby Cases To Be Reviewed, (Aug. 11, 2014). James Ross Gardner, The Trouble with Shaken Baby Syndrome, Seattle Met (Apr. 2, 2014). Anthony DiPietro, Battle of Experts: Controversy in Shaken Baby Case Set for NY Court, Pace Criminal Justice Blog (Feb. 14, 2014). Steve Orr, Judge Orders Special Hearing in Shaken Baby Case, Democrat & Chronicle (Jan. 24, 2014). Steve Orr, Watchdog Report: Shaken-Baby Science Doubt Grows, Democrat & Chronicle (June 29, 2013). Gary Craig, Watchdog Report: Shaken-Baby Triad Still Rules in New York Courts, Democrat & Chronicle (June 30, 2013). A New York court is set to hear testimony that will decide whether a shift in the medical community over the prognosis of shaken baby syndrome (“SBS”) constitutes newly discovered evidence under Article 440 of the New York Criminal Procedure Law. Supreme Court Justice James Piampiano has ordered a hearing in People v. Rene Bailey after being presented with strong evidence that the medical community’s standard for diagnosing shaken baby syndrome has significantly shifted over the years since Bailey’s conviction. Rene Bailey, once a daycare provider, was convicted of violently shaking a two year old child and causing severe brain injuries that resulted in the child’s death. At trial, the proof against Bailey rested primarily upon the testimony of a state medical examiner, who had claimed that the child’s internal brain injuries could only be caused by a violent shaking of the body (SBS), and could not be attributed to any other cause known within the medical community at the time. Contrary to the state’s medical examiner, medical experts for Bailey have now opined that a diagnosis of shaken baby syndrome should not have rested exclusively on the presentation of the child’s internal brain injuries, consisting of subdural hematoma, retinal hemorrhaging, and cerebral edema (“triad of injuries”). As of today, many members within the medical community no longer promote an exclusive diagnosis of SBS based solely upon the presentation of internal brain injuries, realizing that causes unassociated with shaking may be the root of the issue. Since Bailey’s conviction, medical studies have also shown that a child may suffer the “triad of injuries” as a result of impact to the brain caused by common short distance falls. Notably, as opined in an article by NY Times writer Emily Bazelon, some biomechanical engineers have raised doubts, [in the absence of external injuries], about whether it’s even possible to shake a baby to death. Aside from new medical testimony, the Court will also entertain evidence that has been discovered by her attorney, Professor Adele Bernhard of New York Law School, which shows that her client may be factually innocent. The evidence presented by a new witness appears to support Bailey’s continuous declaration that she had not shaken the alleged victim, and further corroborates the observation of another child, who was present at the time of the occurrence and had initially stated to the police that the alleged victim had jumped off a chair and hit her head on the ground. Justice Piampiano has also reserved judgment upon whether further discovery will be ordered in the matter, including whether Bailey’s request for the State to produce notes from an interview of a third child eyewitness will be granted. According to court papers, a third child may have also been present at the time of the alleged occurrence, and the child may have made exculpatory declarations to police consistent with Bailey’s version of the event that were never disclosed to trial counsel. Emily Bazelon, New Evidence on Shaken Baby Syndrome, NY Times (Jul. 5, 2011).